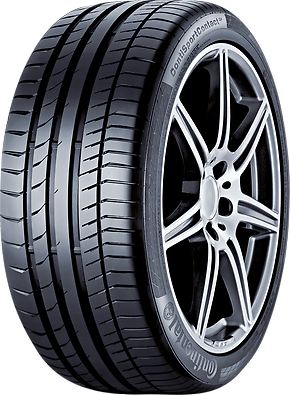 Rating for the ContiSportContact® 5 P: "good"
Rating for the ContiSportContact® 5 P: "recommended"
Over-all verdict: "Top Class Sport tyre." With precise steering and maximum grip under all conditions, the ContiSportContac® 5 P puts you in total control of your vehicle. Continental’s innovative Black Chilli Technology ensures that the ContiSportContact® 5 P doesn't only go fast - it stops fast too. 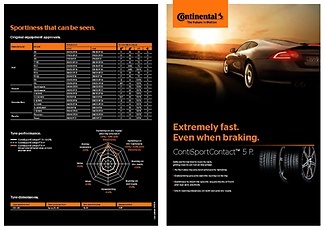 The ContiSportContact® 5 P is the current Motor Tyre Test winner for 2017.